When buying a new vehicle, it’s crucial that you understand its history and its current condition thoroughly. The buying process can be daunting if you are unsure of what to look out for, so the peace of mind that a pre-purchase vehicle inspection gives you is worth so much. 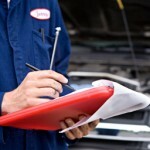 Our technicians have extensive experience in pre-purchase vehicle checks. We know what to look for on the surface and internally. Combining up to date diagnostic equipment and professional know-how, our technicians will conduct a thorough vehicle check. We look at the vehicle’s exterior and interior condition, review its service history and run a full diagnostic check on the engine control unit (ECU). We will also take the vehicle for a road test to ensure that all is running smoothly. Once the inspection is complete we will advise you clearly and practically so that you can make an informed decision on whether or not to buy.